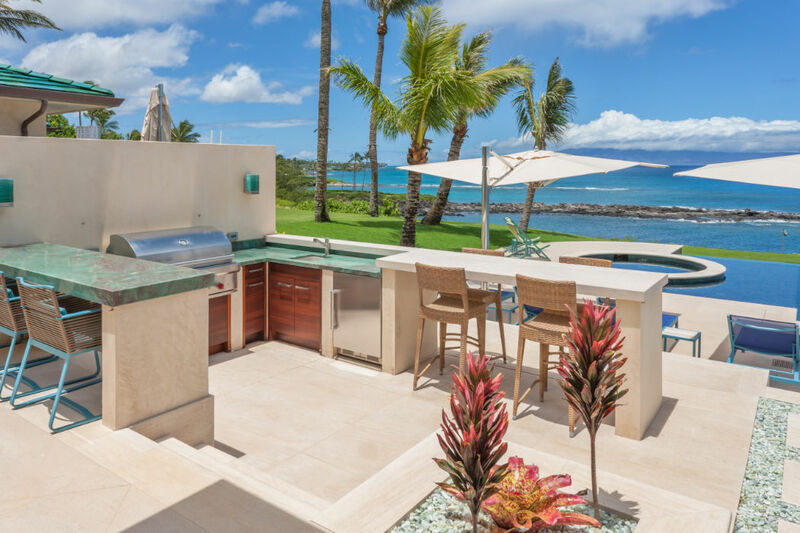 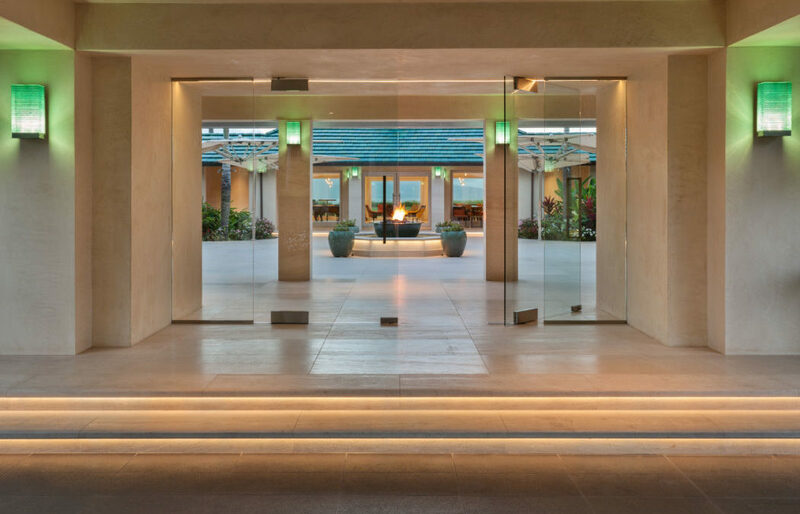 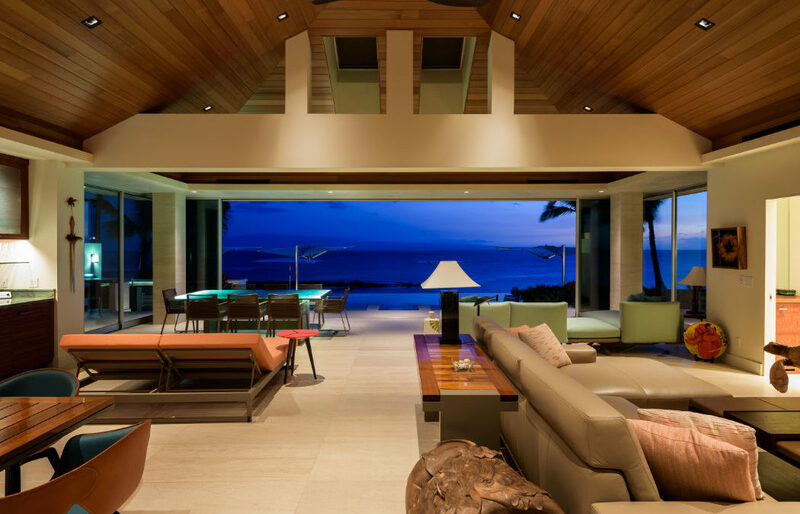 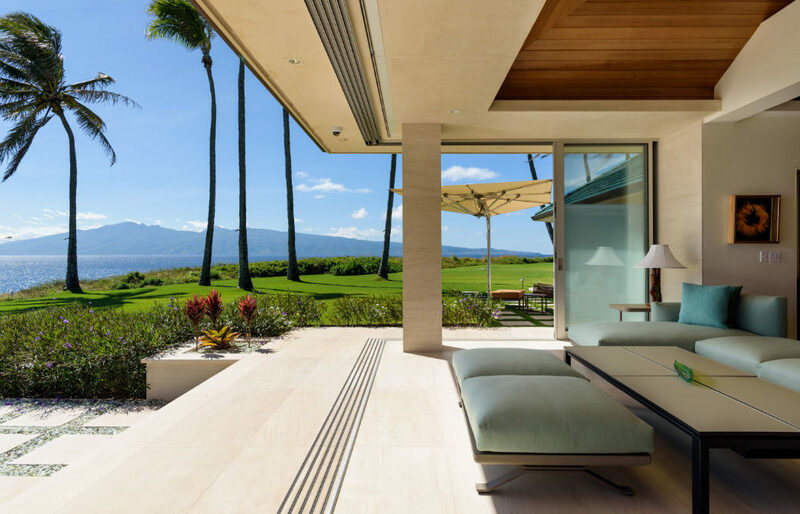 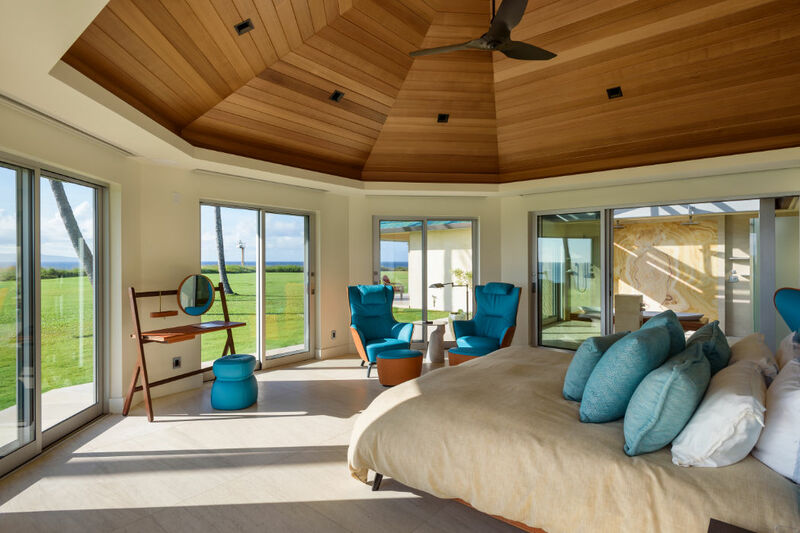 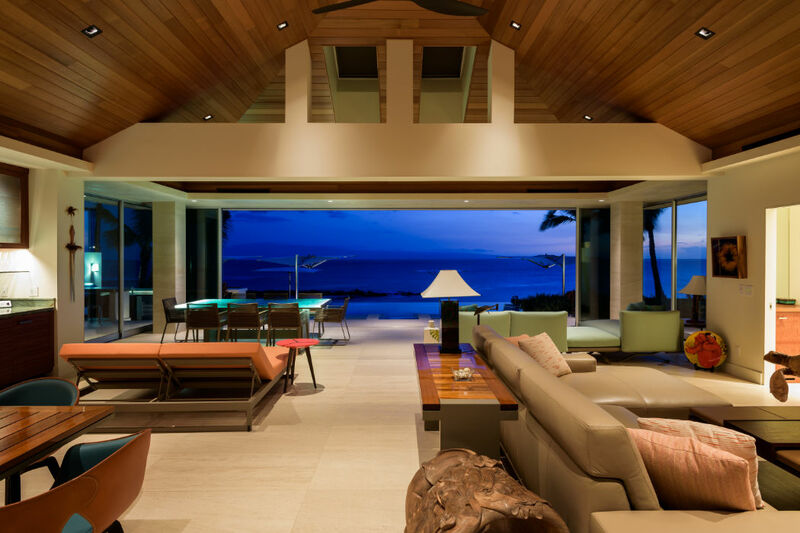 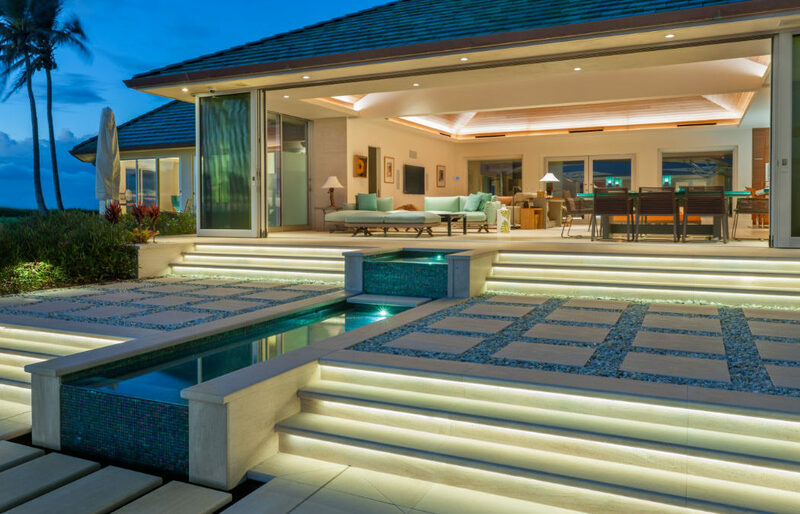 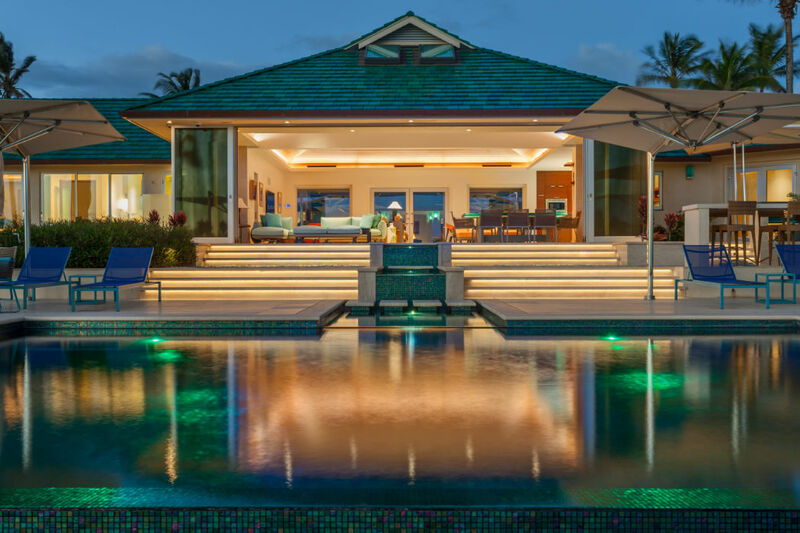 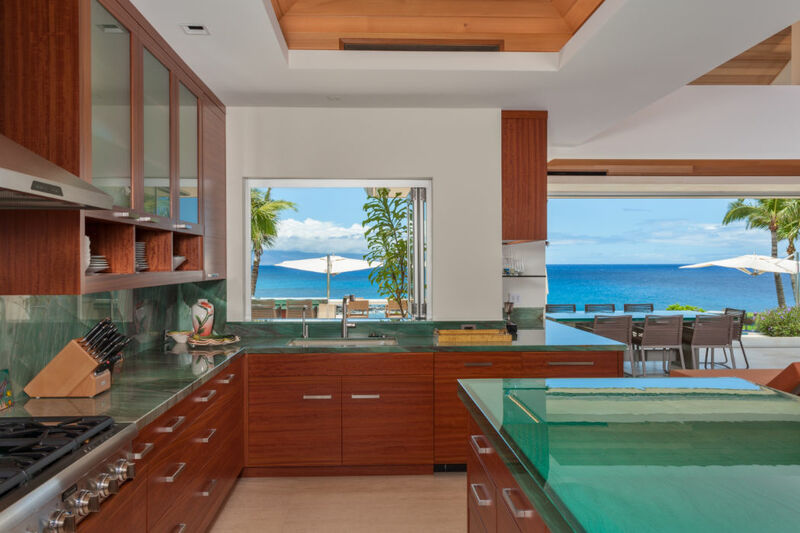 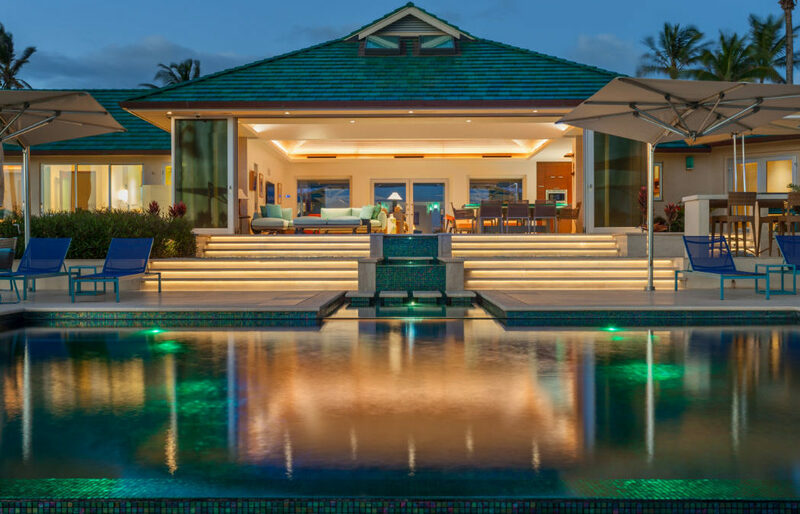 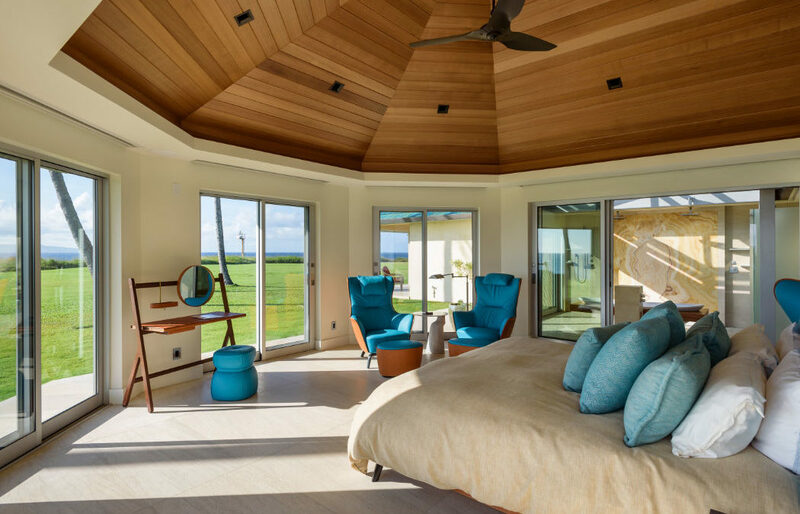 Hawaiian Tropical Contemporary - Harrison Woodfield Architects, Inc. 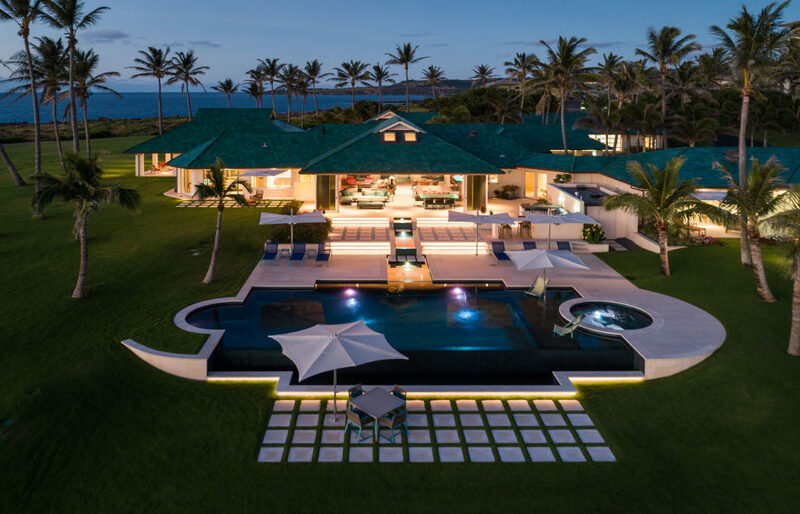 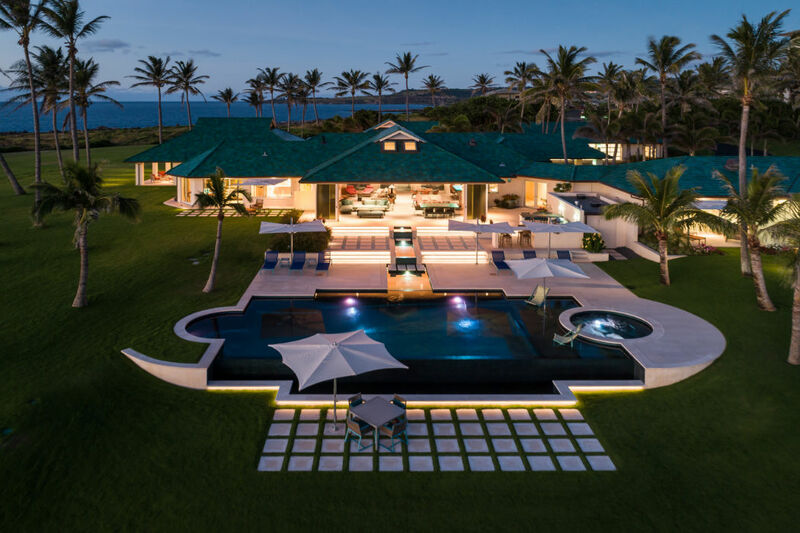 This estate is a well thought out magical place, located on a shoreline in Hawaii. 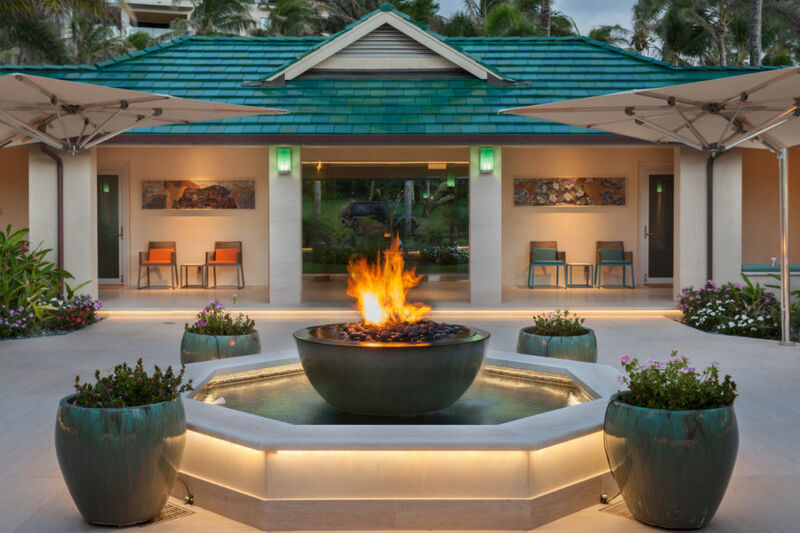 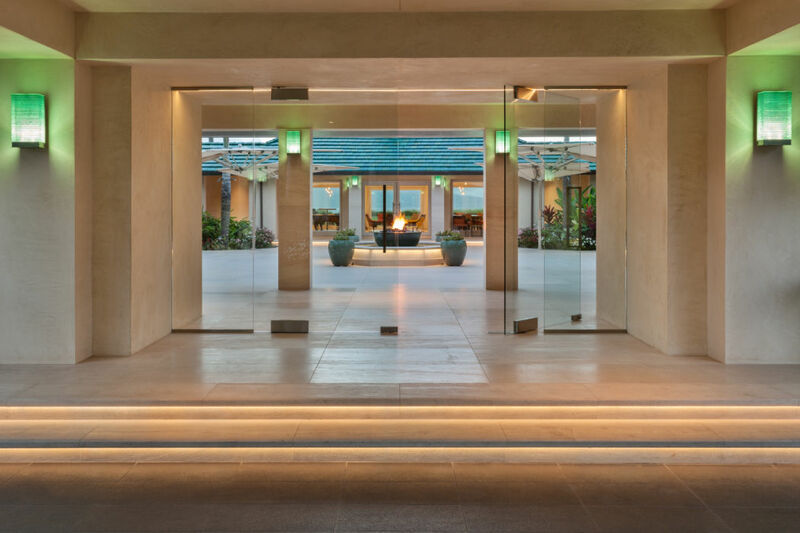 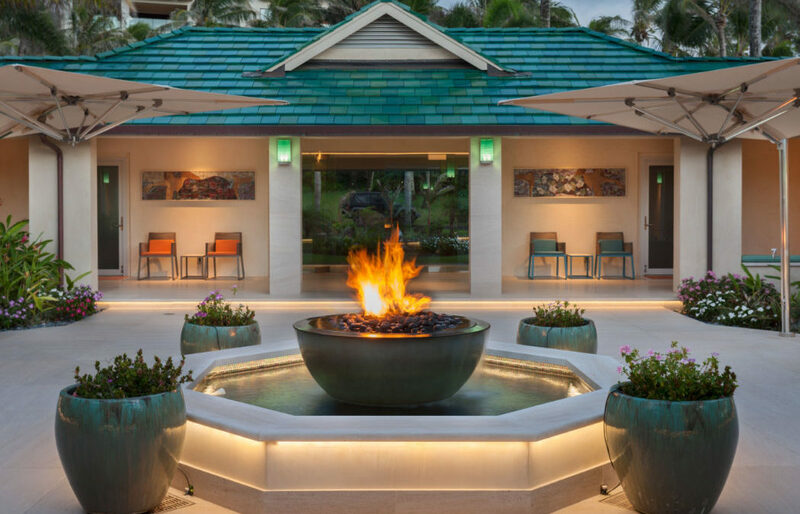 A water and fire feature in the central courtyard can be appreciated from throughout the home. 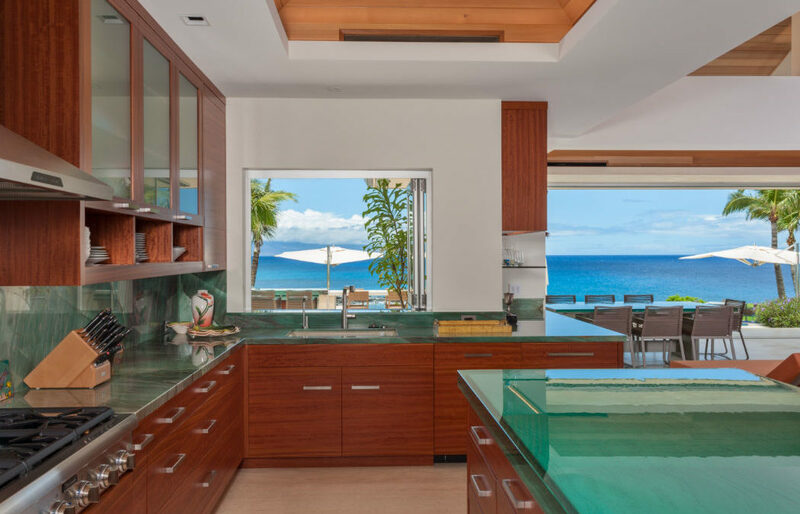 Extensive glass doors and windows connect you to every view, the water, and the sky; the water features draw you in, then merge with the ocean. 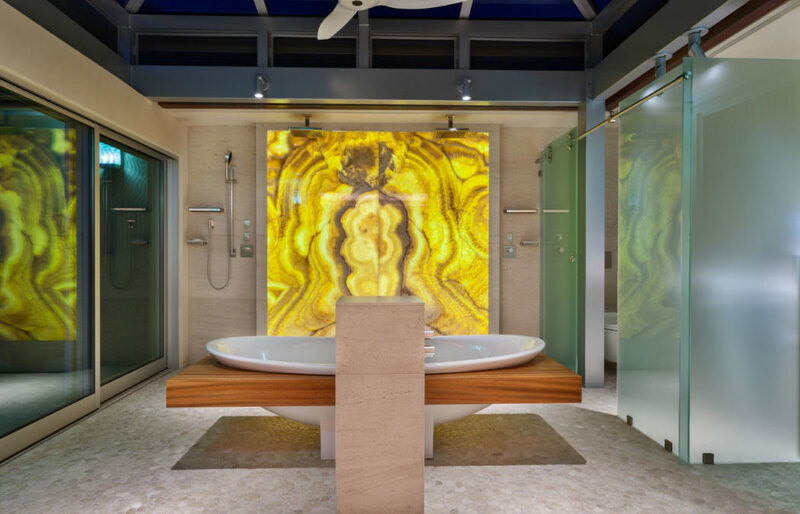 Extraordinary details abound; back-lit onyx wall panels, deep glass tabletops, and custom stacked glass lighting. 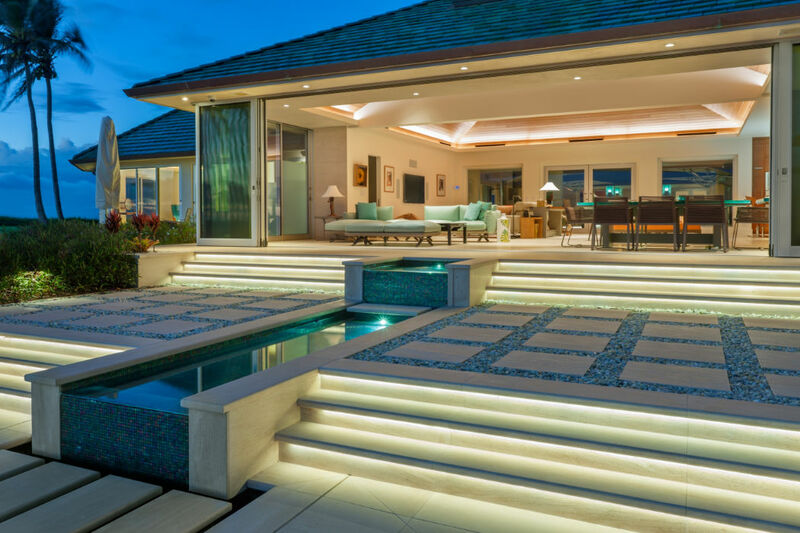 Read more about the design background for this project.